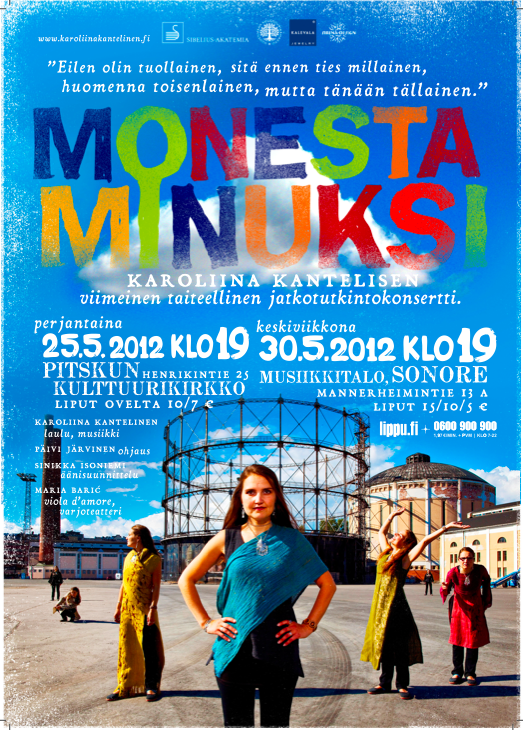 Karoliina Kantelinen is a singer and an ethnomusicologist from Helsinki who specializes in different ethnic singing styles. 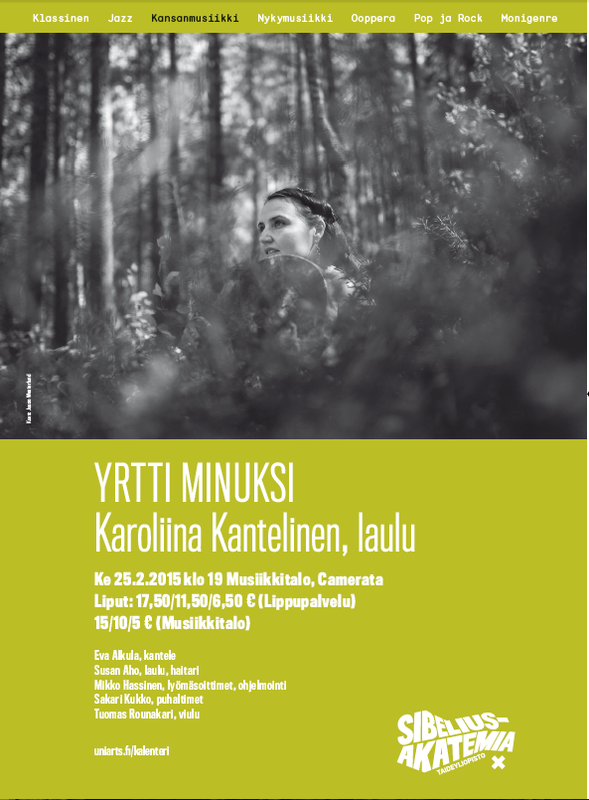 Her doctoral dissertation is on the old yoik tradition from White (Viena) Karelia. 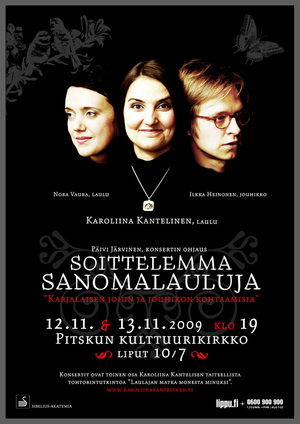 She currently teaches folk singing at the University of Arts. 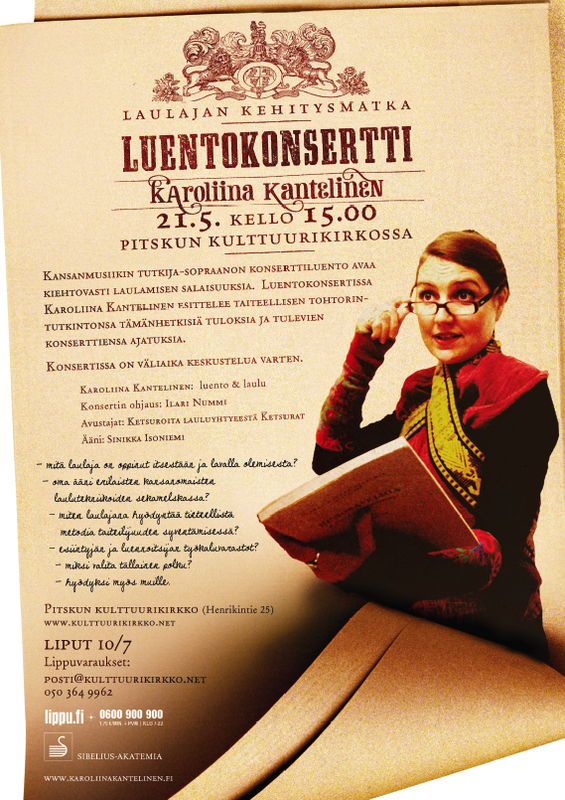 At this moment Karoliina is finishing her artistic doctoral studies at the Department of Folk Music in Sibelius-Academy. 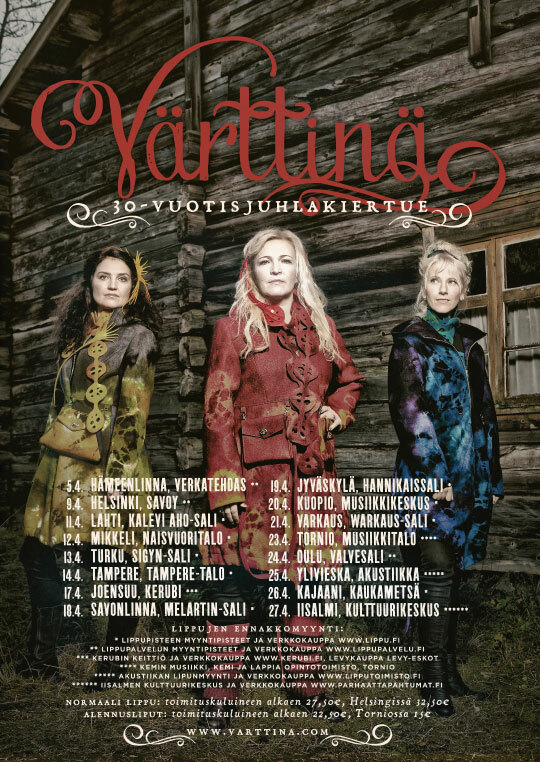 Known for challenging the old established ideas and concepts of interpreting Viena Karelian yoiks, Karoliina uses the traditional Kalevala style as her inspiration for new contemporary folk-based compositions. With her distinctive broad-ranged voice, she is also known as a 'lament singer' whose unique ability spans a range of emotion from anguish to compassionate sensitivity. 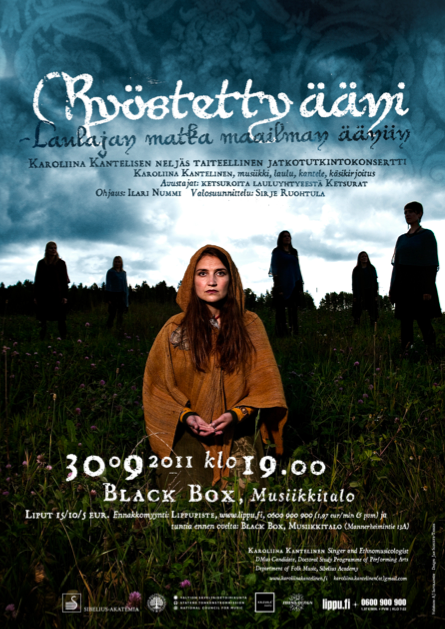 Besides yoiks, Karoliina composes in her use of traditional Kalevala style stories and melodies. 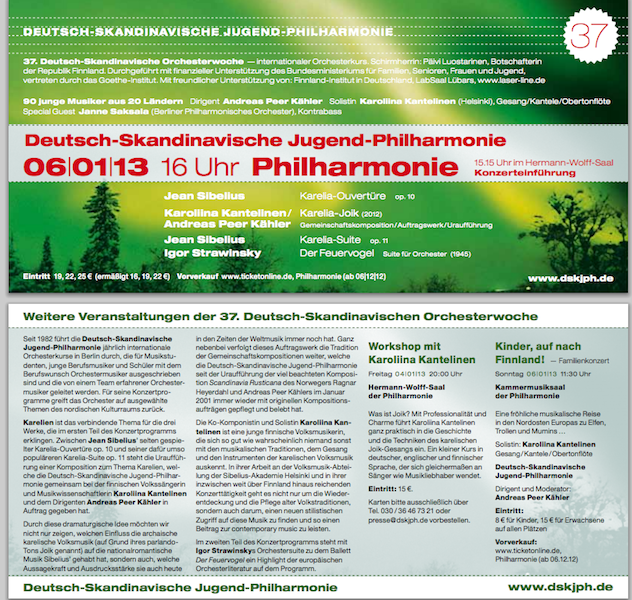 She usually has a clear mental image picture of the sound and works to reach a unified interpretation so that the listener is left with a strong and moving experience of this historic, yet very contemporary, music.